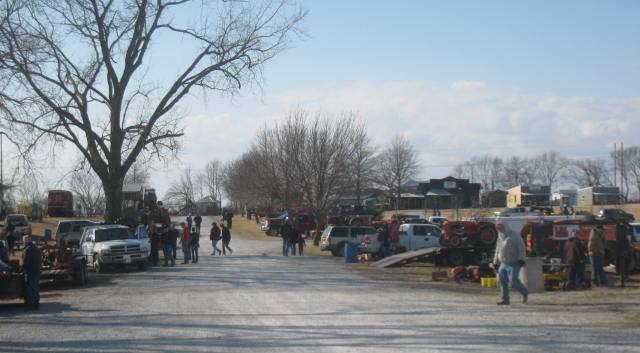 The picture with the bridge in the background is at the Lamine River Boat Launch on MO 41 between Boonville and Arrow Rock on the first day of the ride where we stopped for a break. 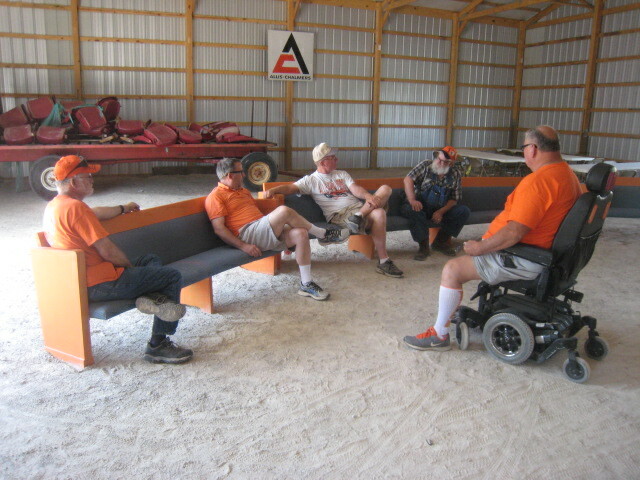 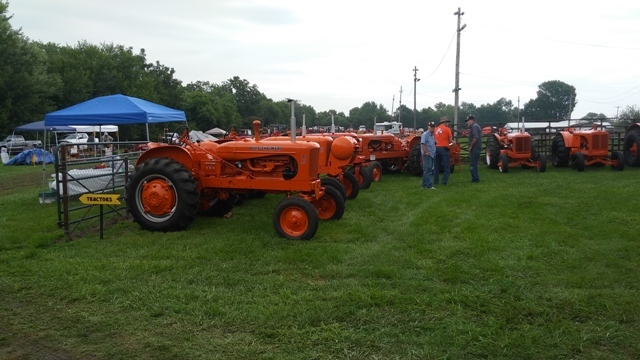 The next group photo is of the six tractor drivers and two support people who went all the way from Boonville to Lathrop. 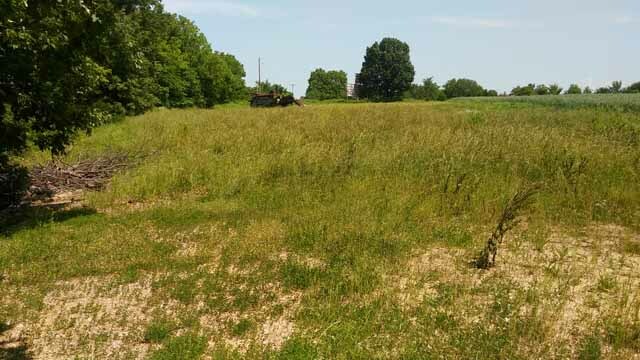 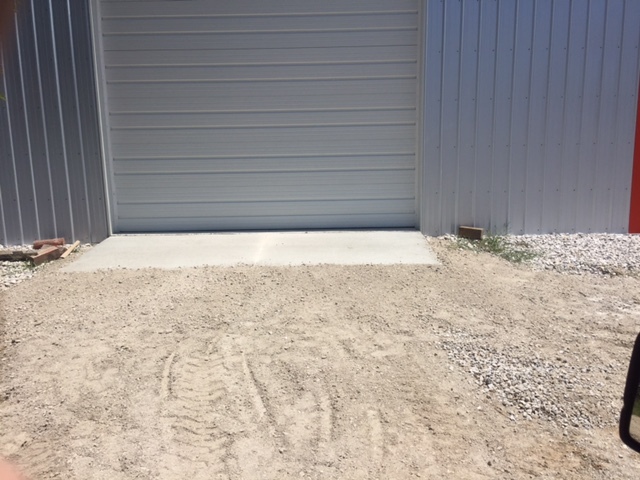 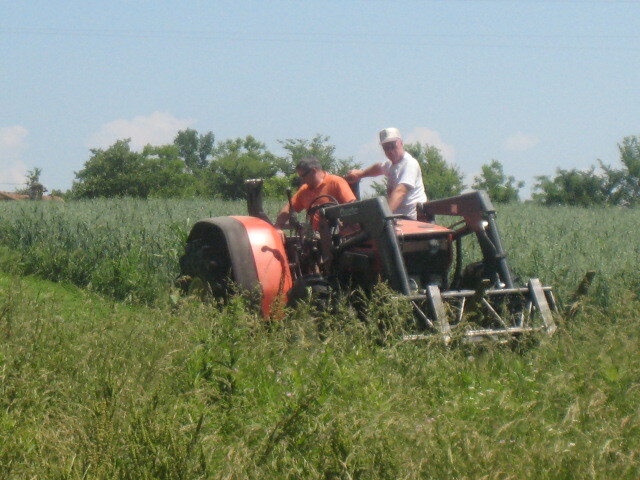 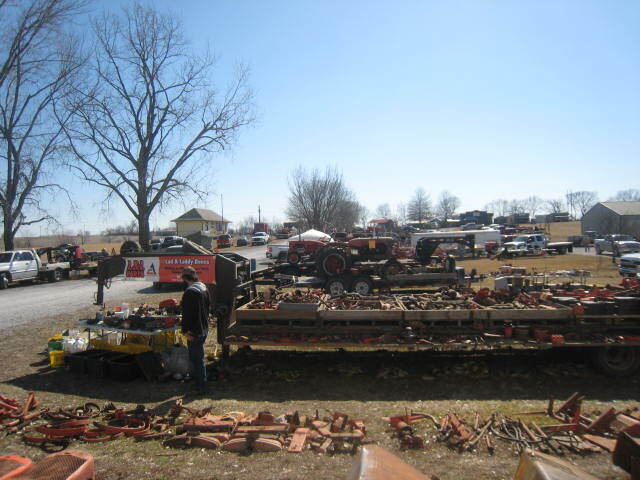 This picture was taken at the MRVSEA Show Grounds in Boonville. 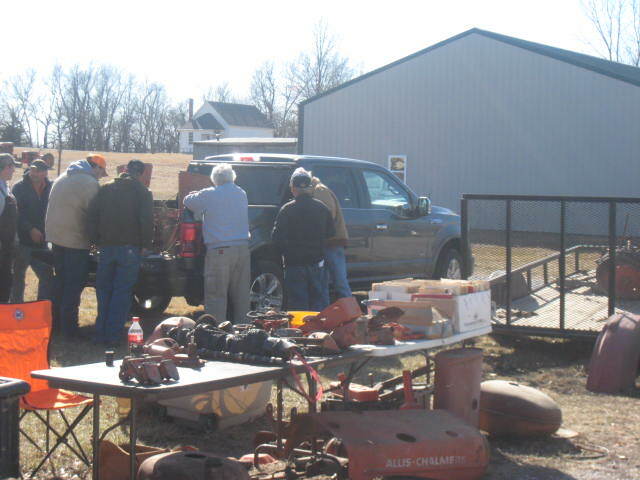 Left to right is: Loren Zeitlowe (N. Dakota), Terry Kaaz (S. Dakota), Ed Holtman (Missouri), Elroy Toedebusch - Service Truck (Missouri), Dale Bauer - Service Truck / Support (Missouri), Martin From (Missouri), Rick Maldeney (Missouri), and Dale May (Minnesota). 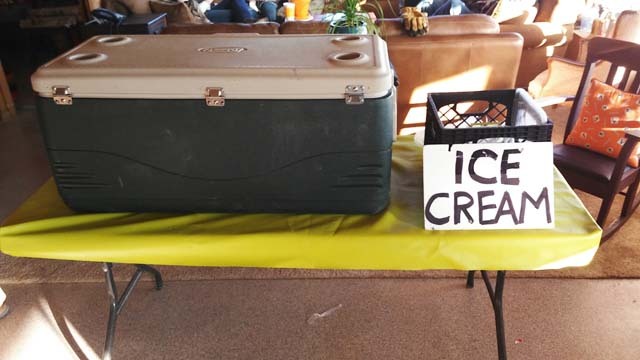 The next two pictures are at Richmond City Hall on the morning of the last day of the ride. 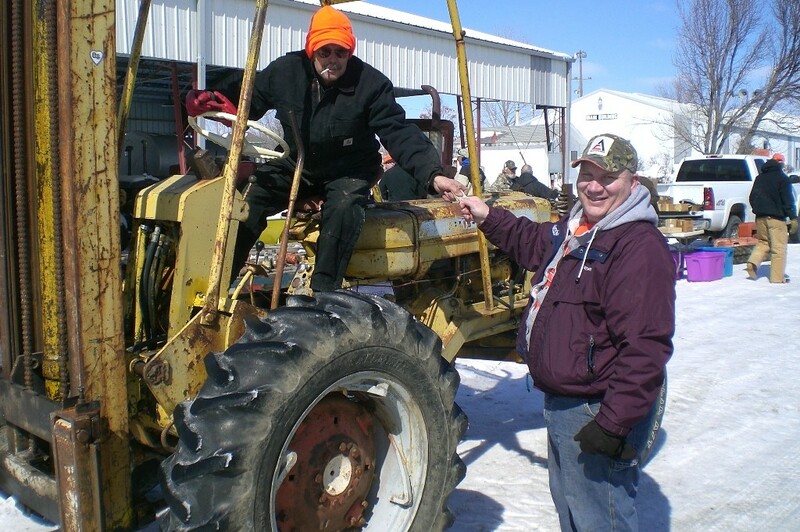 Ralph Gadt and Marvin Springer (both from Missouri) joined us for the last day from Richmond to Lathrop. 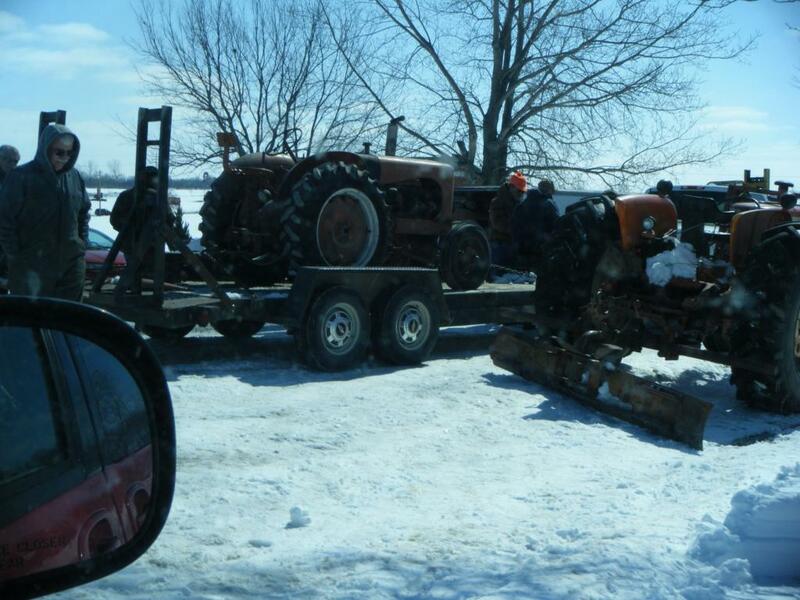 So we had eight tractors between Richmond and Lathrop on the last day. 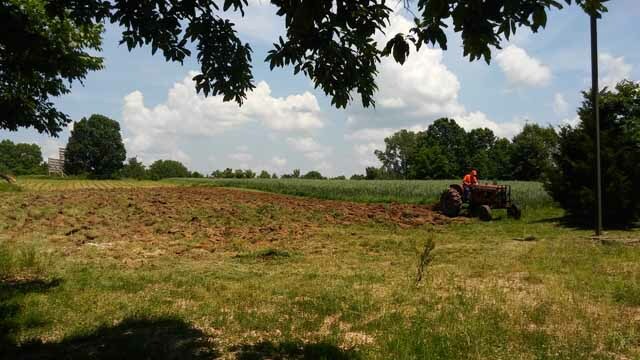 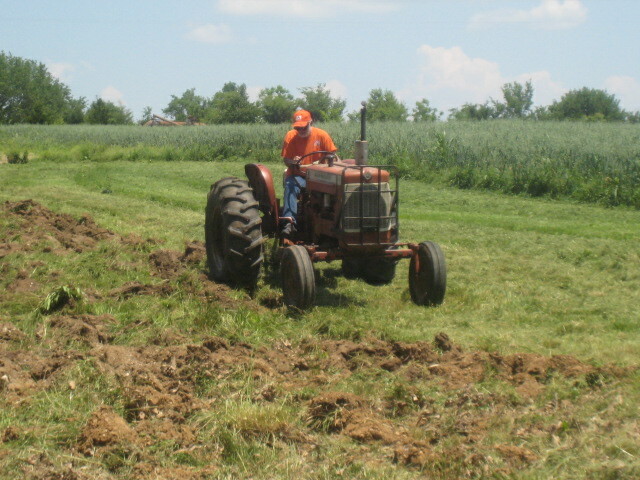 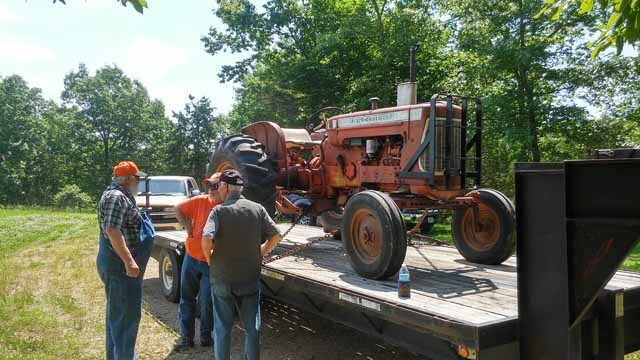 The Village of Arrow Rock has graciously allowed us to republish their photos of the MO A-C Club Tractor Ride from their Facebook page. 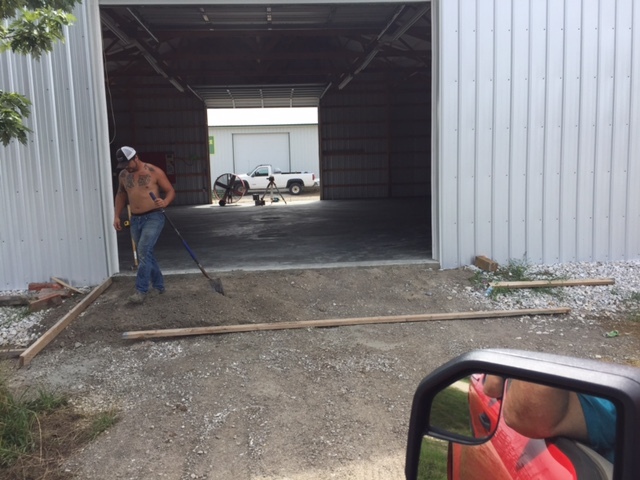 You can view those pictures below. 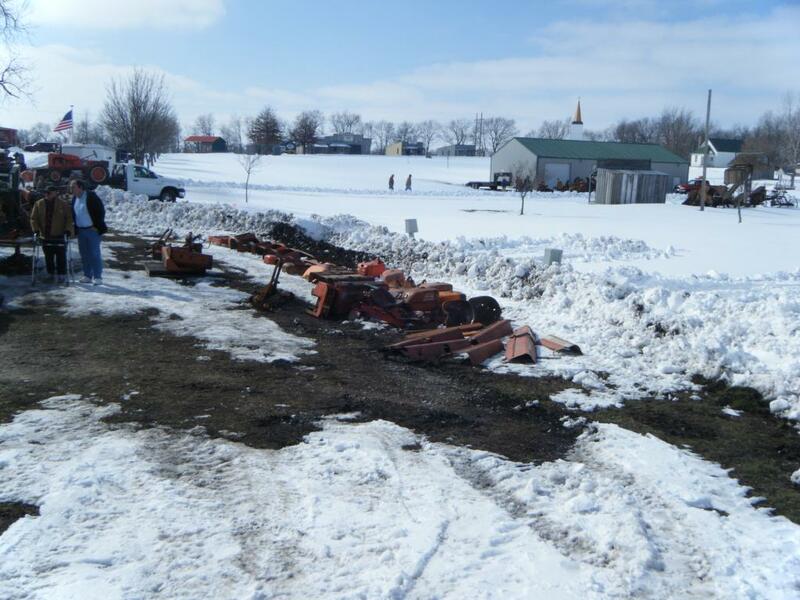 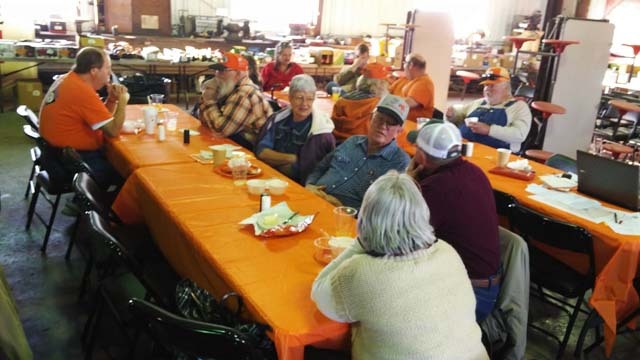 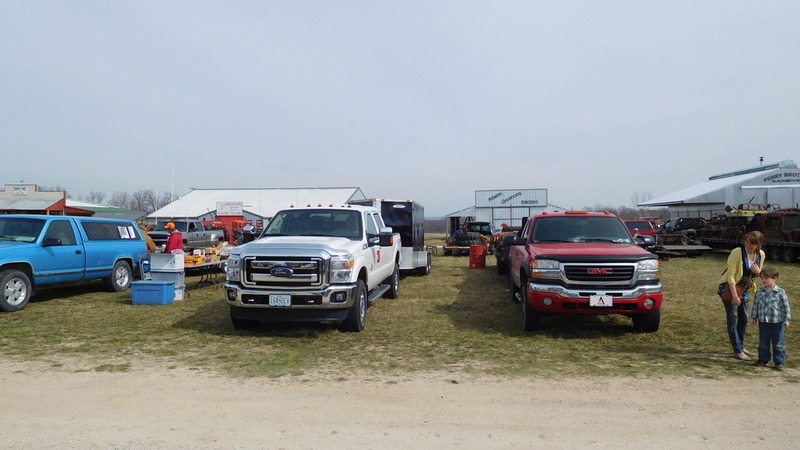 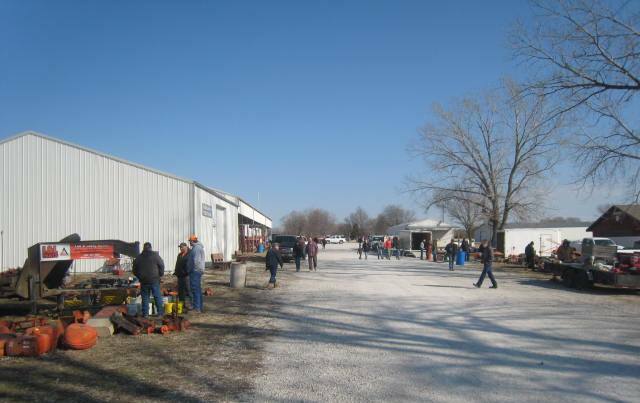 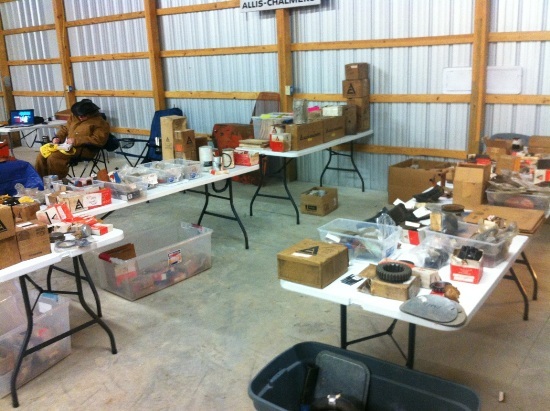 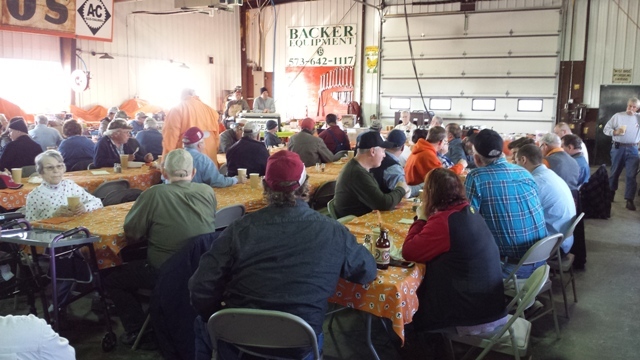 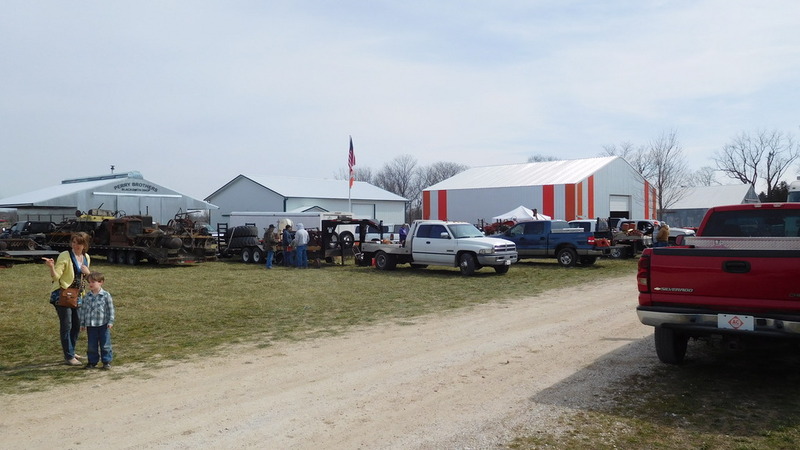 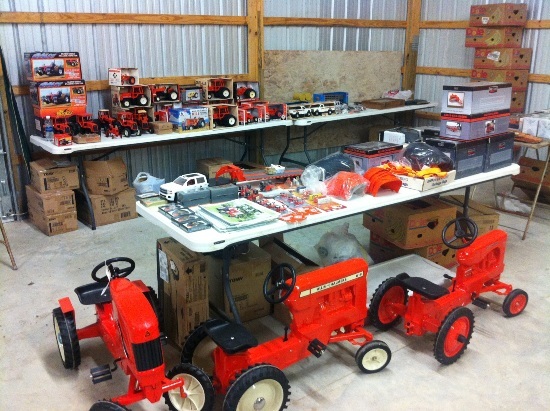 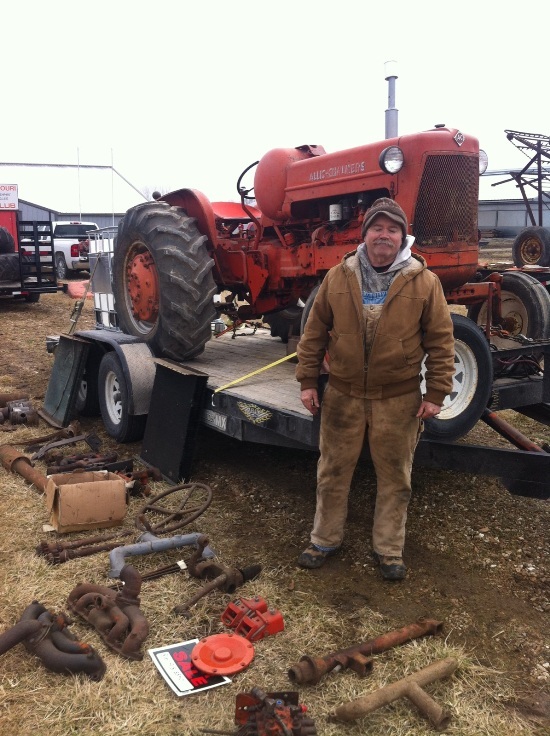 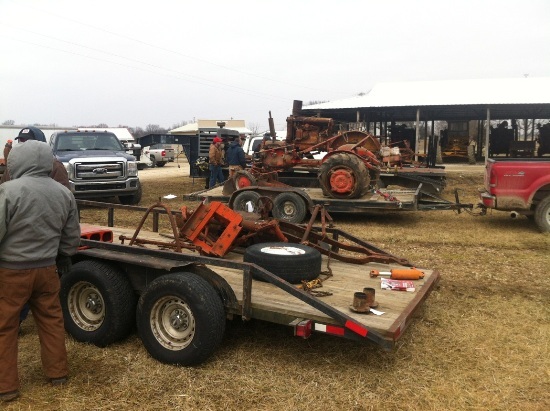 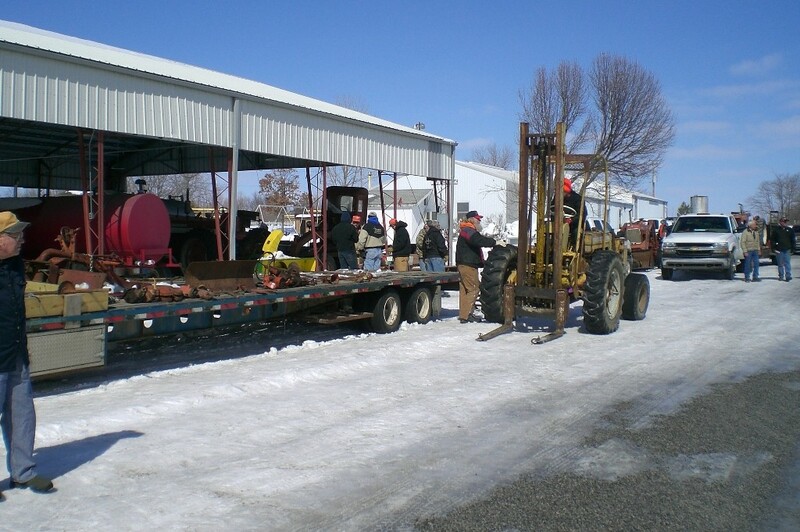 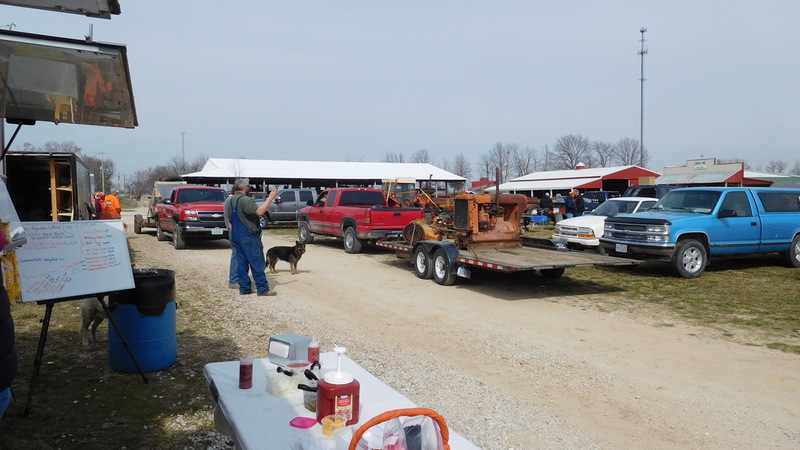 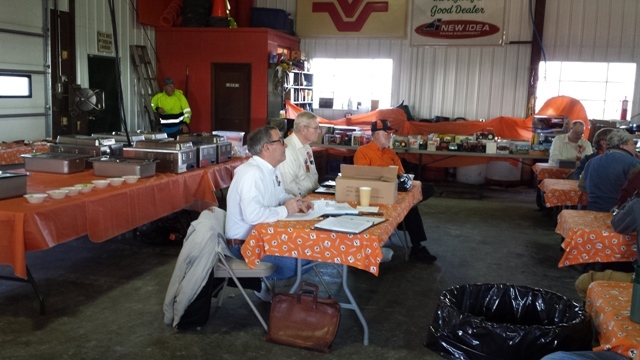 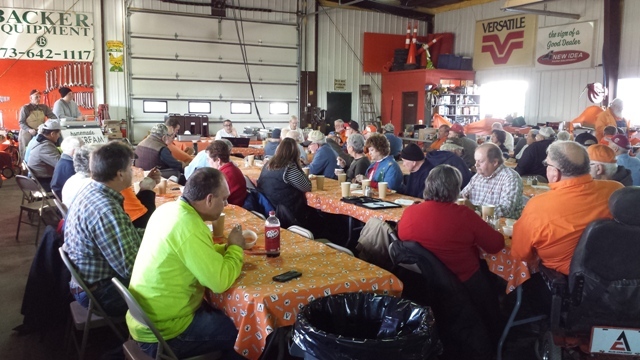 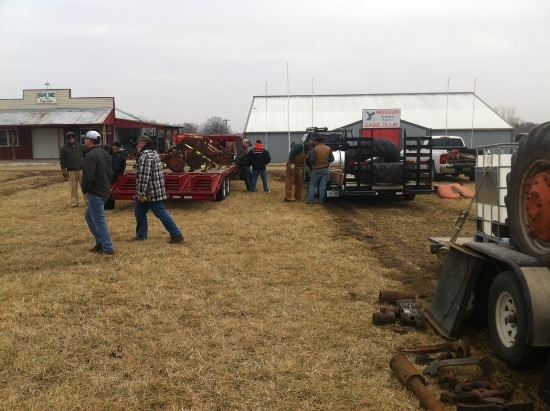 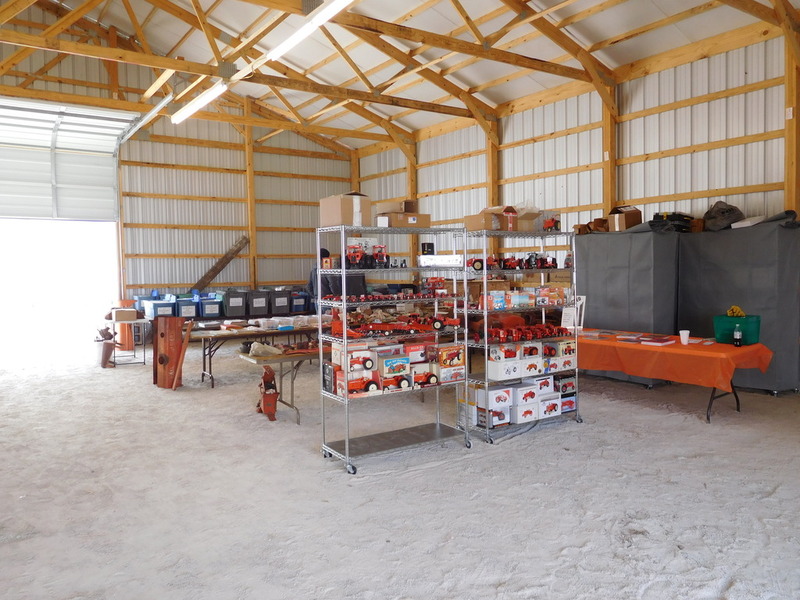 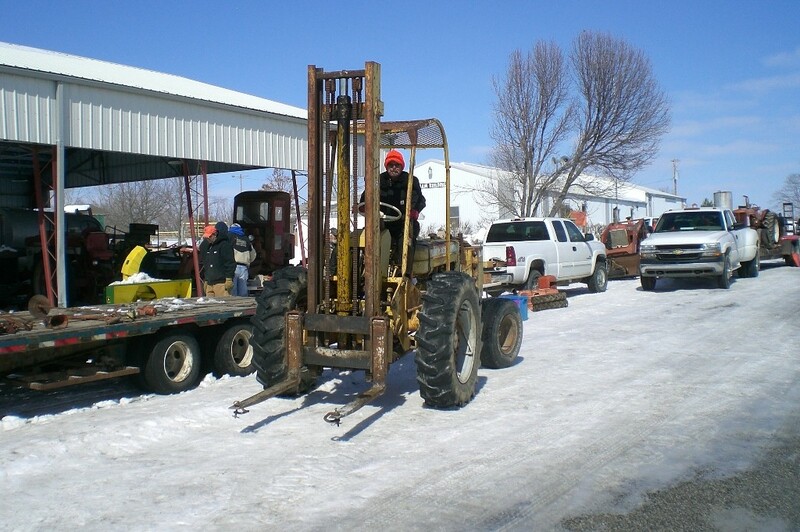 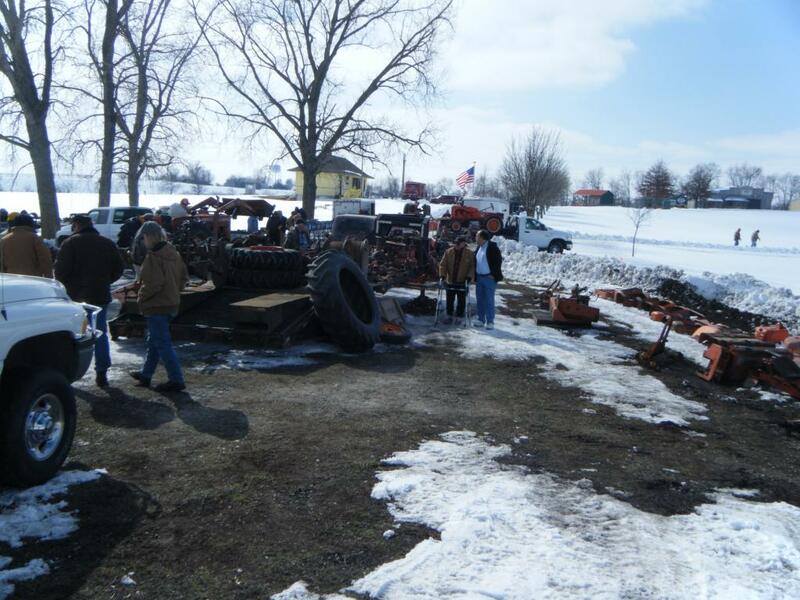 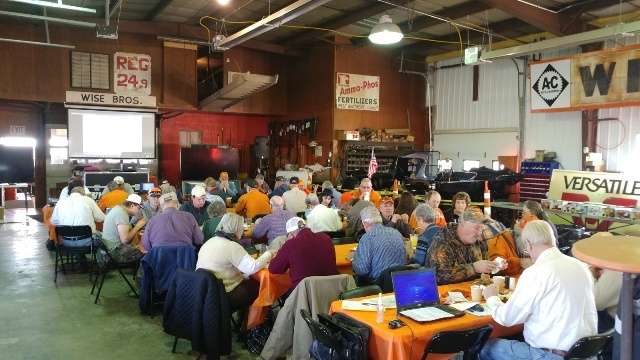 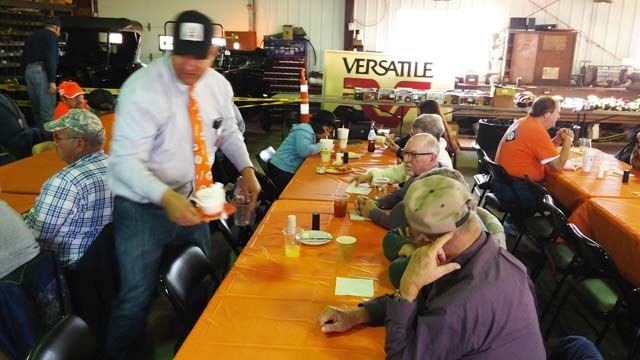 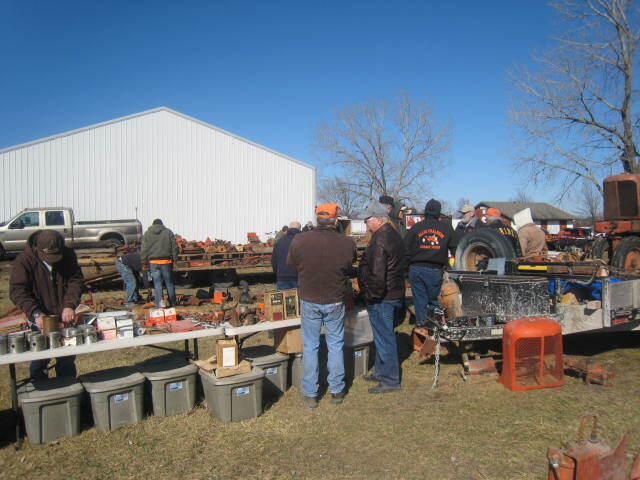 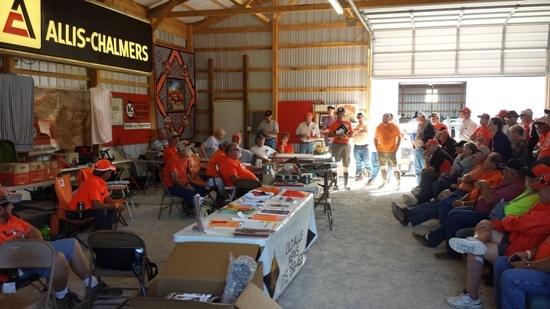 Thanks to all who attended the 2014 MO A-C Club Swap Meet in Warrenton. 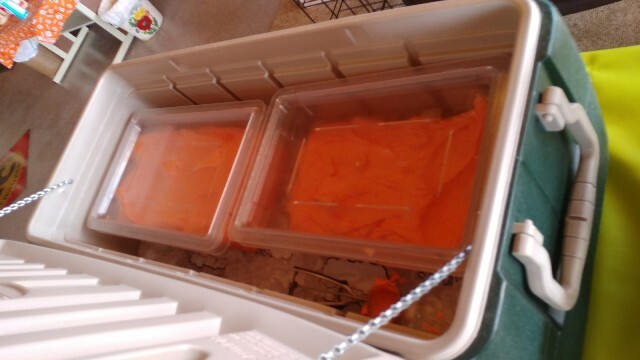 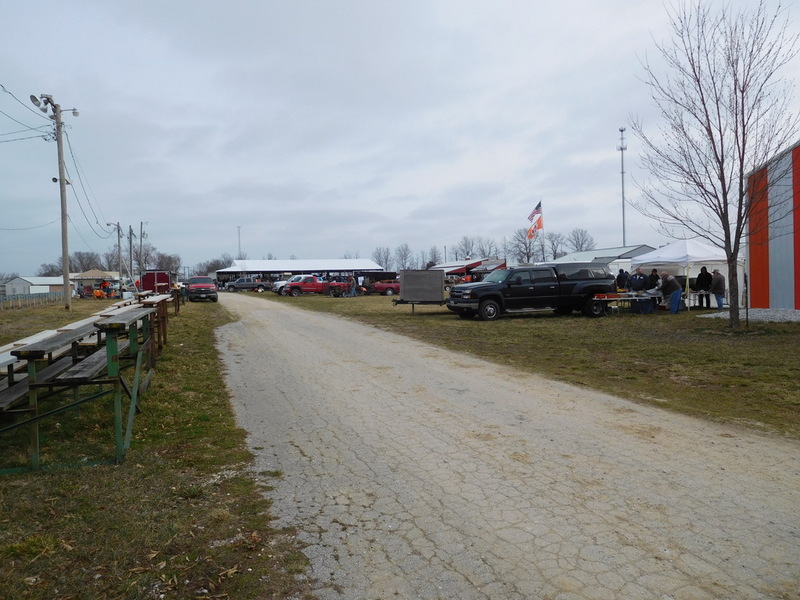 The weather was great on Friday, but was considerably colder on Saturday. 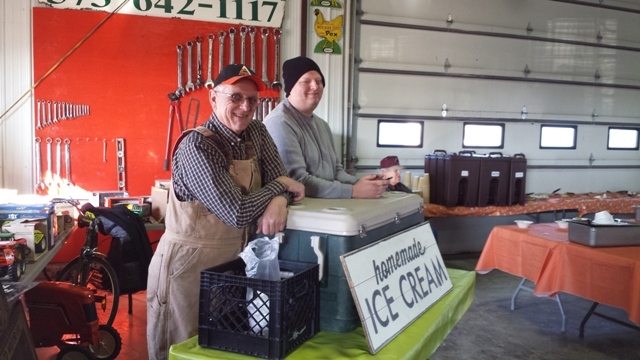 There were 34 vendors in attendance. 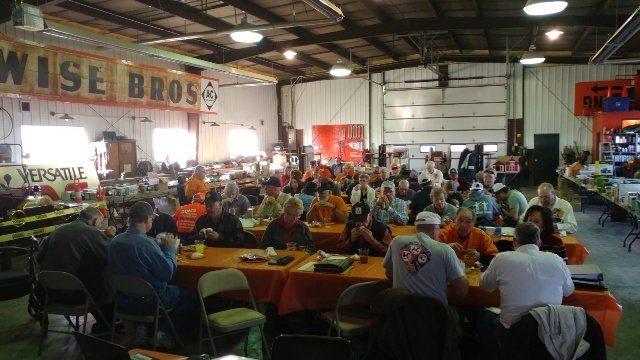 Thanks to all who helped make the 1st annual Missouri A-C Club banquet a success. 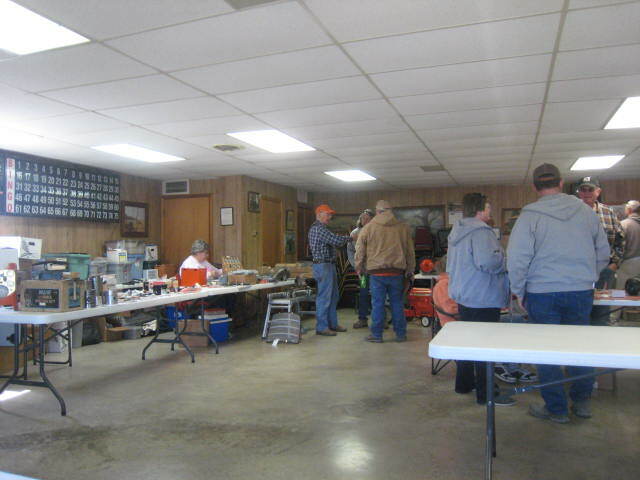 The caterer provided an excellent meal and the silent auction brought in almost $700 for the club. 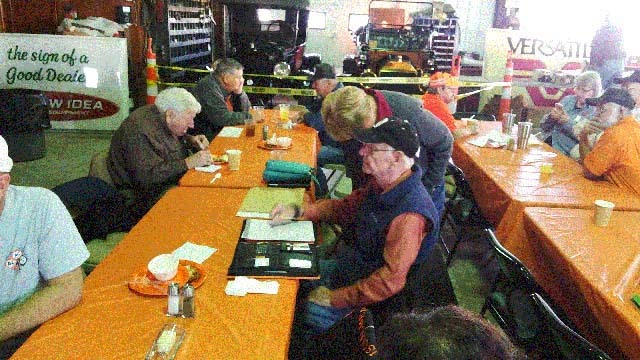 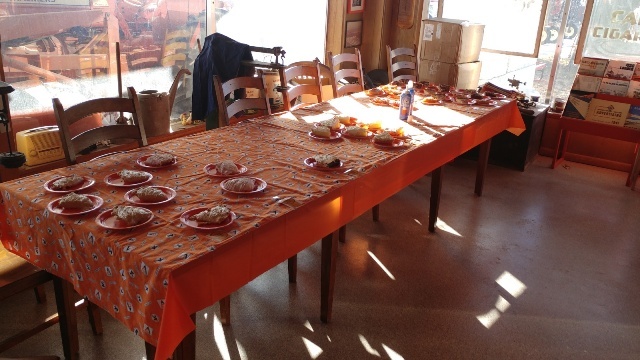 Dinner began at 6:00 PM, with the silent auction and meeting taking place afterwards. 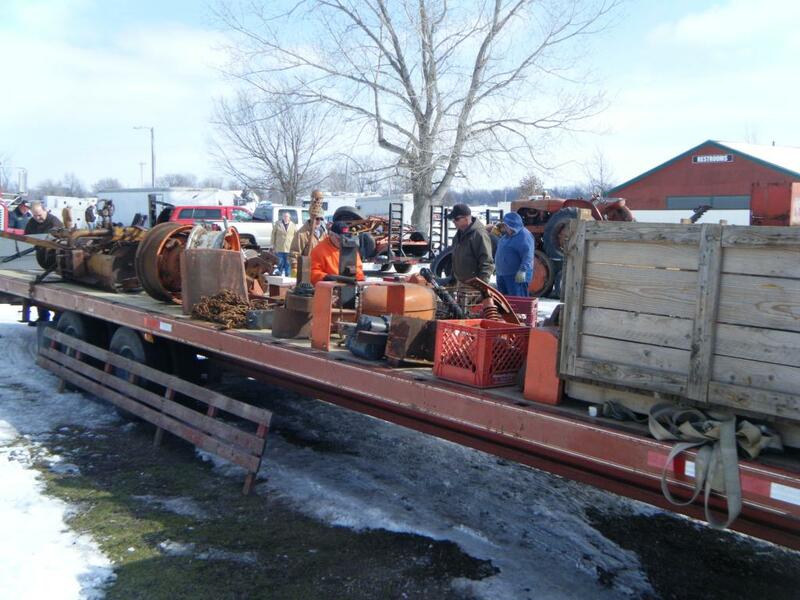 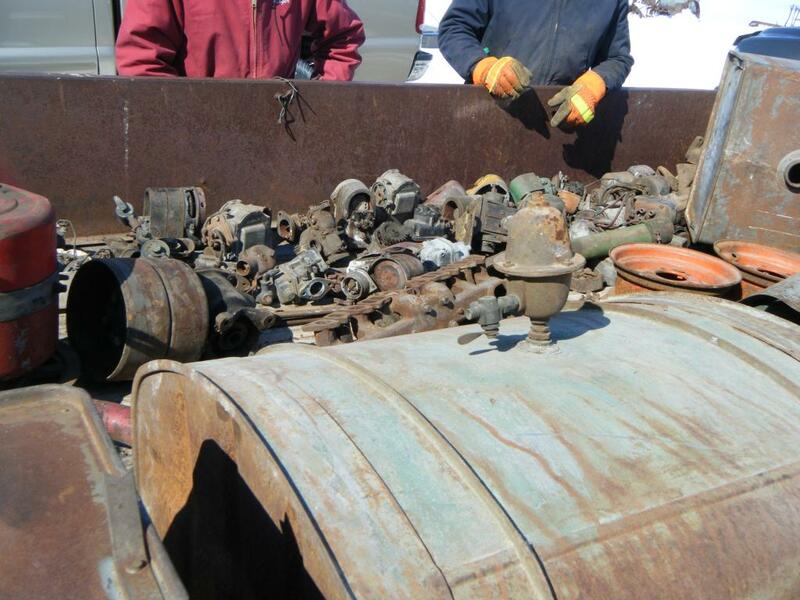 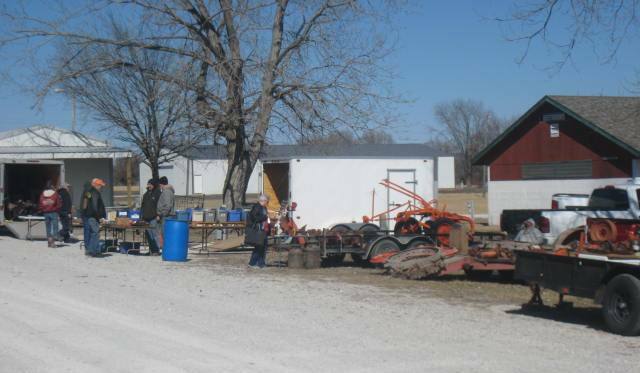 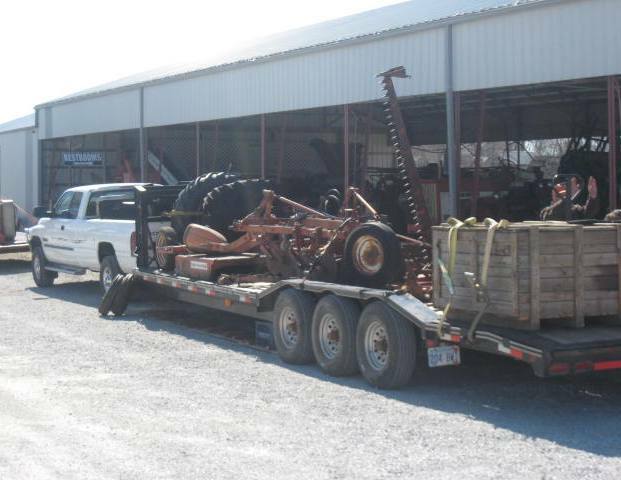 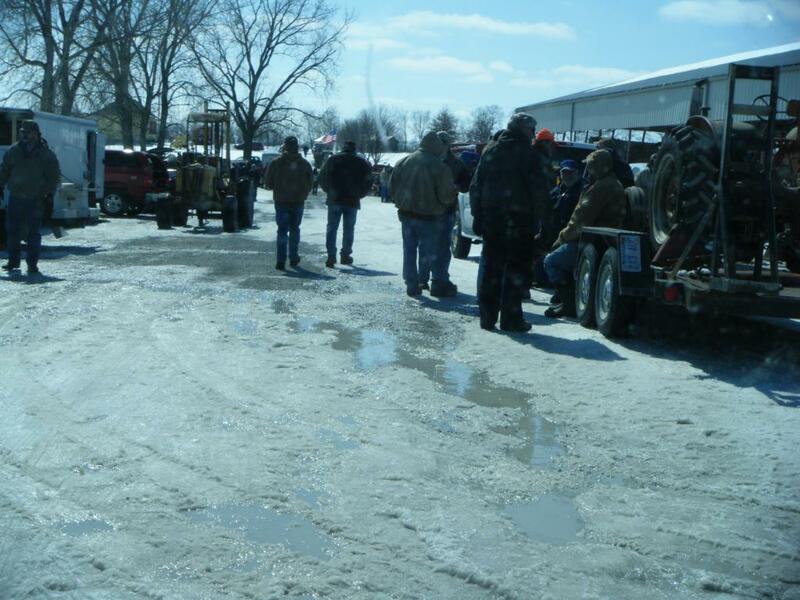 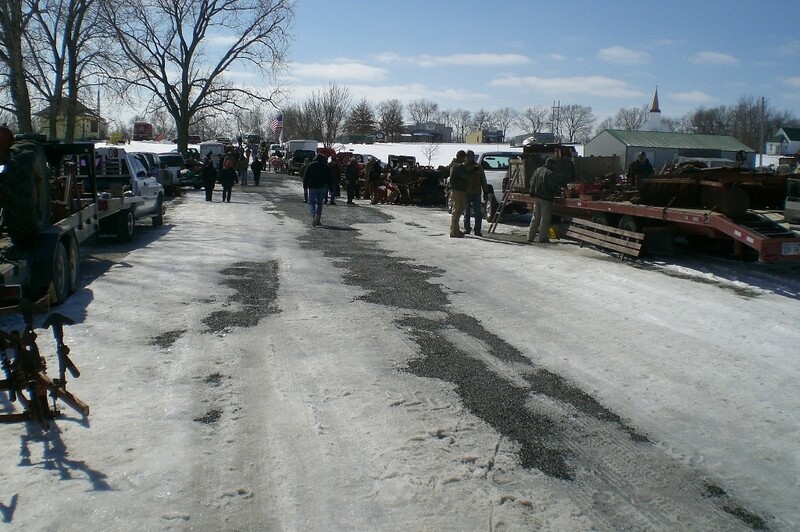 Our next meeting will be at the 2014 Swap Meet in Warrenton, MO on March 8, 2014. 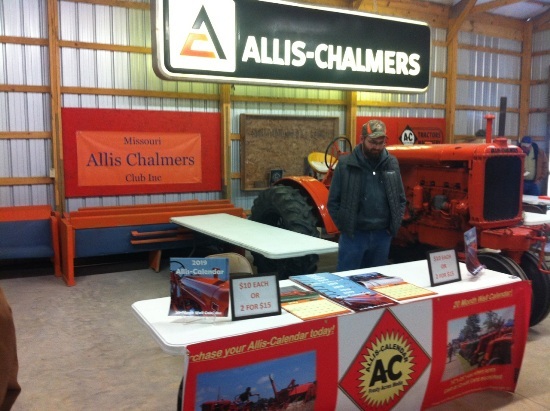 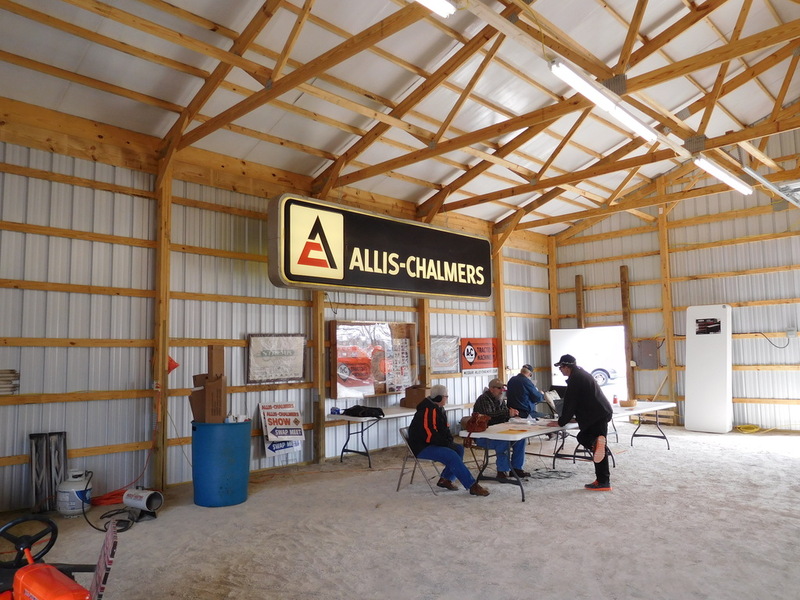 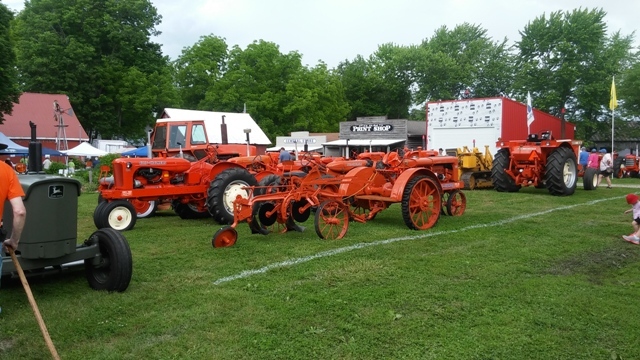 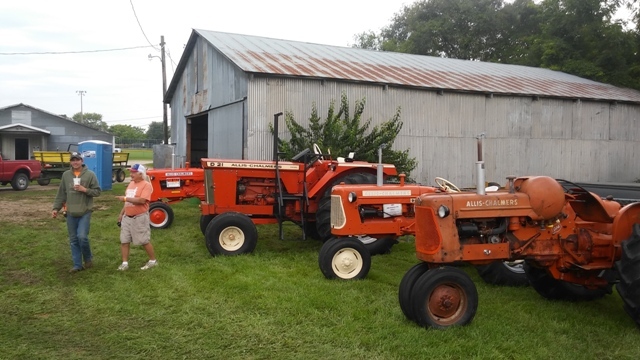 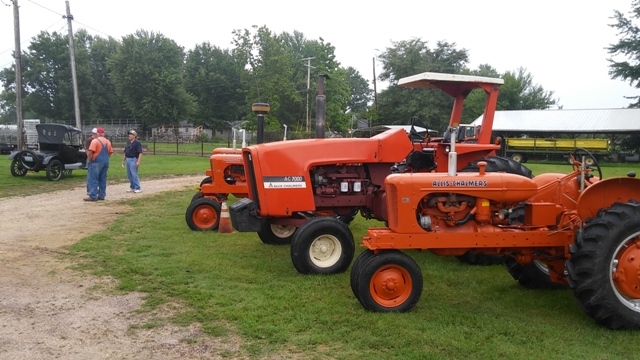 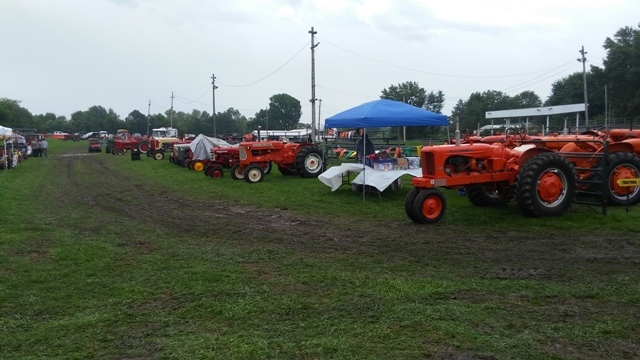 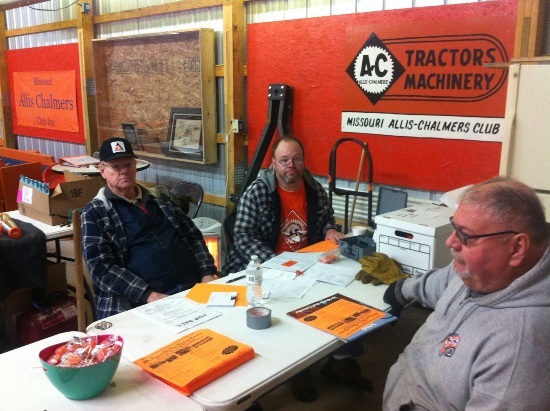 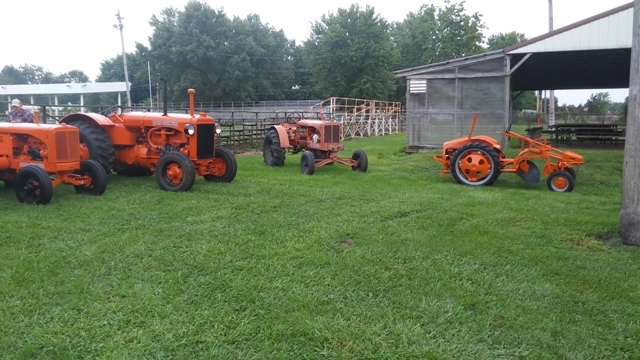 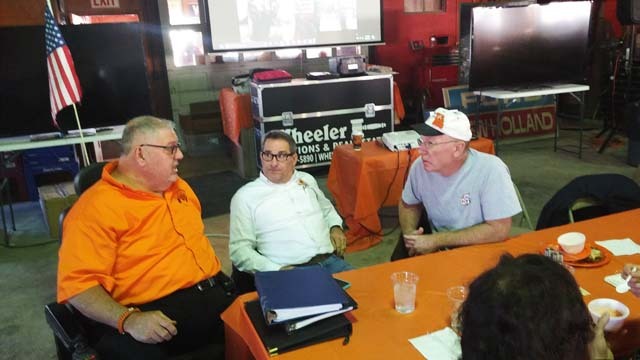 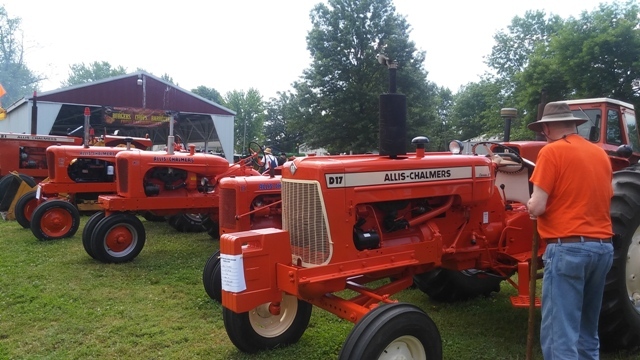 Thanks to MO A-C Club members for ensuring that Allis-Chalmers was well represented at the ORAPA show in Eldon, MO on September 20-22. 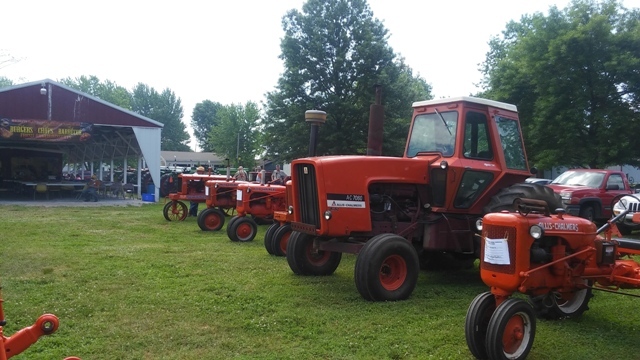 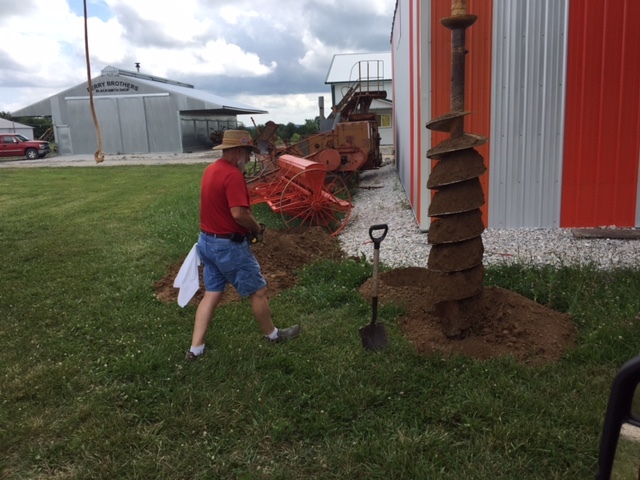 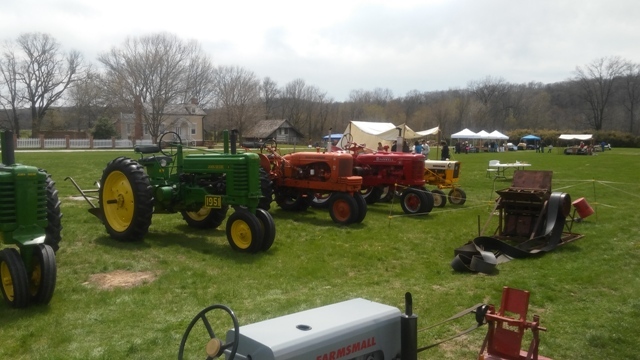 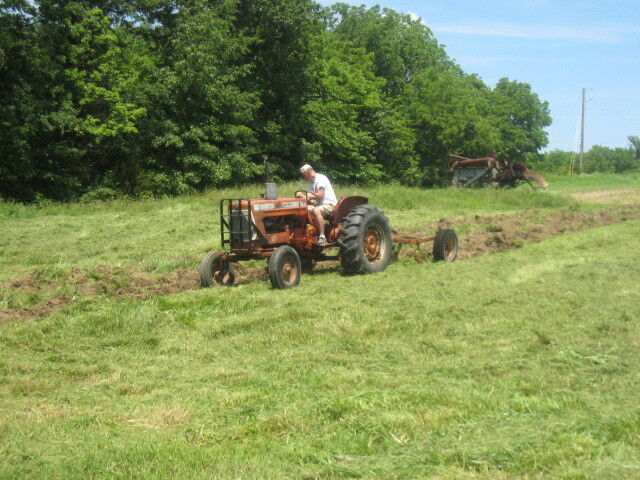 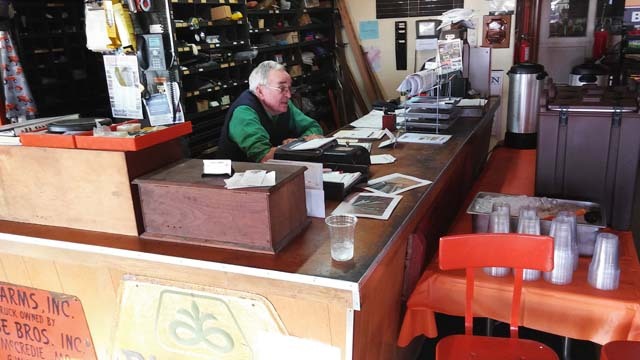 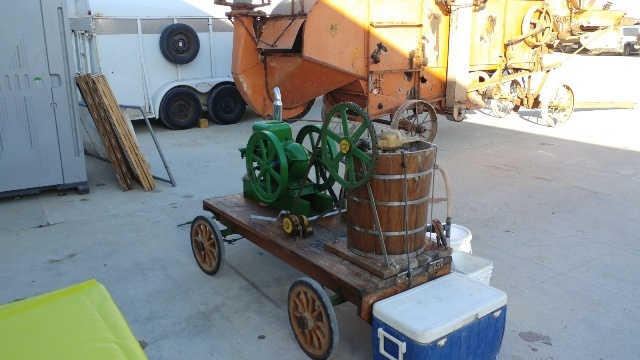 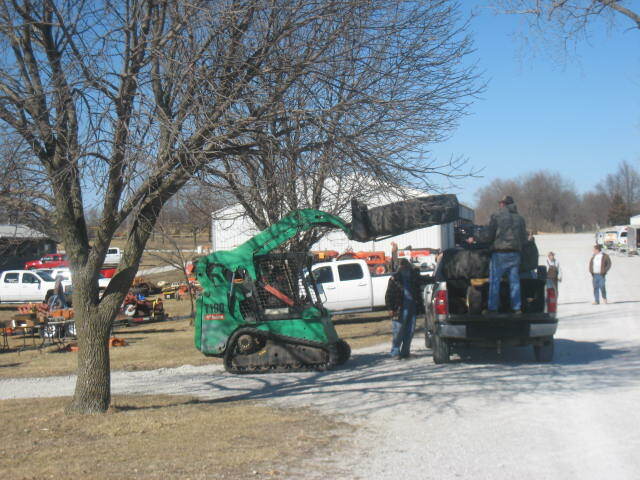 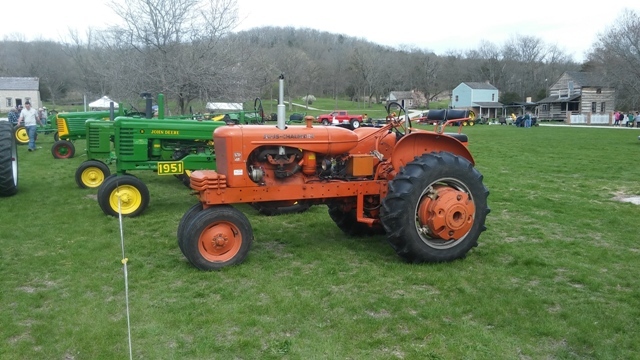 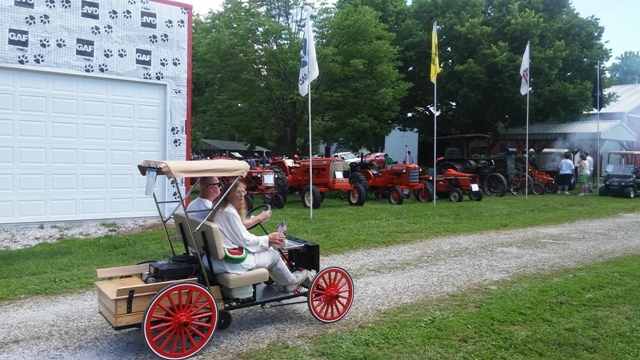 There were 37 club members in attendance with nearly 80 A-C tractors on display. 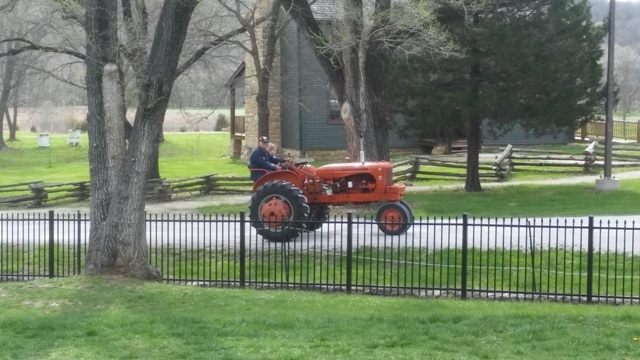 click on "Allow Blocked Content"